A vital component to achieving success in swimming is dependent on a swimmer’s level of fitness. Given the distance and stroke of a swimmer, there are many different components of fitness that come into play. In order for coaches and athletes to be successful in the pool, they must be able to track progress and development throughout their season. Running standard tests at the beginning of the season will help coaches and swimmers start off on the same page and get a baseline for strength. Fitness testing is the best way for athletes to establish their strengths and weaknesses and there are a handful of baseline tests that swimmers can do to gain a deeper understanding. Once these areas have been identified, coaches and athletes can devise a plan together for ways to improve weaker areas. Additionally, it is easier for athletes to track their progress when there is a base amount because their daily goals can be set, accomplished, and recalibrated. When baseline tests are run at the beginning of the season, swimmers have a better idea of where they stand in relation to their competition and get motivated to work hard during season for the next round of testing. A simple way to test a swimmer’s endurance is to time consecutive laps with the goal of beating the previous lap’s time. By keeping track of the number of laps a swimmer can complete while still dropping time, coaches are able to see where their athletes’ endurance stands. Since the first lap is the baseline time, swimmers must learn to pace themselves while still racing against the clock. 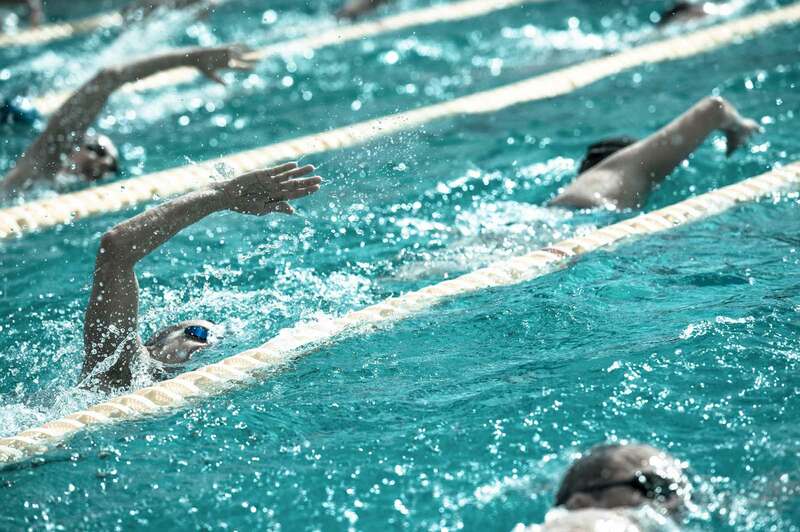 Depending on whether the stroke and distance requires more endurance or speed, this test can be altered to accurately test the swimmer given their specialty. If this test is done at the beginning of the season, swimmers can use it as motivation to train well throughout the year, striving to always beat their previous time and score. Another great test for coaches to administer at the beginning of the season is a 100m swim time trial. Although this might be one of the simpler tests, it still tells coaches and swimmers a lot about their personal abilities, and where they can spend time improving. Regardless of a swimmer’s stroke, this is a great test for all swimmers, and allows them to compete between each other for the best time. This too, should motivate swimmers to work hard in and out of the pool to increase their strength in order to drop time on the next time trial. This test is typically referred to as the FMS, and is designed to help athletes identify asymmetries in the body, which could lead to any functional movement deficiencies. Emphasizing the importance of finding any movement deficiencies helps build a program of corrective exercises that can be tailored to each individual, lowering their risk of injury. This test is more efficient if it is run at the beginning of a season, rather than in the middle, because the risk of mid-season injuries can be dramatically reduced. If swim coaches want to measure their athletes’ growth, then running baseline tests at the beginning of the season is a great way to start. To measure development, the same tests should be run periodically throughout the season. Before each test swimmers should be reminded of what they scored the previous time, and try to beat it. This is also a great way to motivate teams to get better and faster, by competing with themselves and their teammates. Fitness is a crucial aspect for swimmers to keep up, no matter what event they swim, and these are all great tests to run to evaluate different aspects of a swimmer’s fitness level.